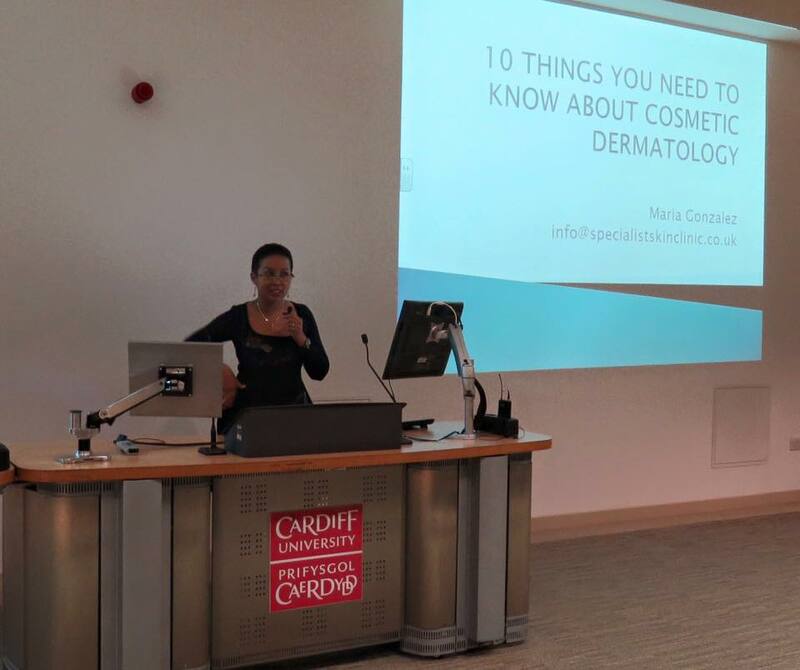 Prior to opening the Specialist Skin Clinic, Dr Maria Gonzalez combined clinical dermatological work with teaching at Cardiff University for over twenty years. She is passionately committed to the concept of continual education and improvement in the field of aesthetics, so launched her own training academy at the Specialist Skin Clinic. Lectures and training cover a variety of different skin conditions and concerns and the many treatment options available to aesthetic medical practitioners. Dr Gonzalez also undertakes lectures for a wide range of organisations and product companies, both in the UK and abroad. If you’re interested in our upcoming training programme, call 02920 617690 and speak to one of the team. 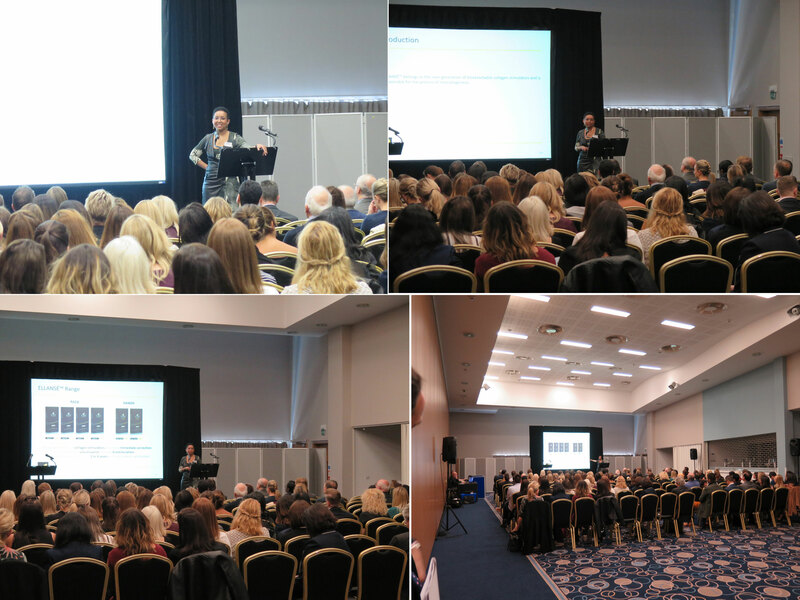 Dr. Maria Gonzalez speaking on ‘Ellanse Dermal Filler a new choice for collagen stimulation’ at the ‘Sk:n 12th Annual Medical Convention’ at Edgbaston Stadium, Birmingham. In attendance were dermatologists, plastic surgeons and nurses, all practitioners at the Sk:n clinic from around the UK. Dr Gonzalez speaking at the Clinical Cosmetic and Reconstructive Expo today at London Olympia. 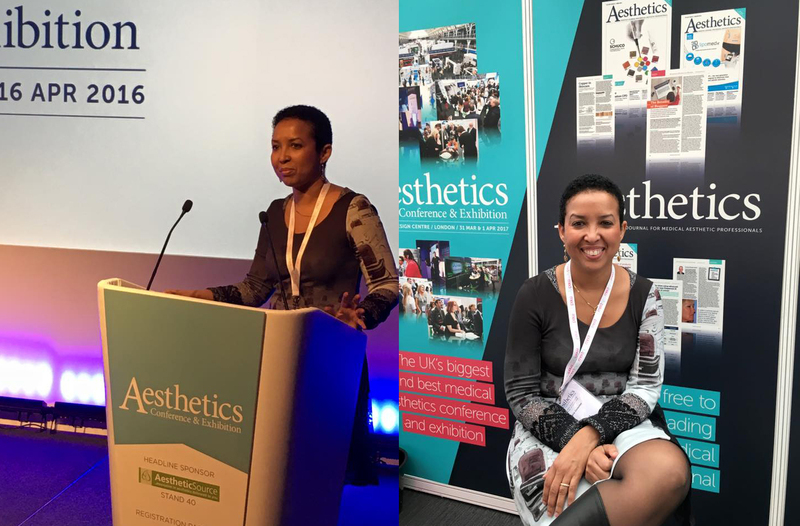 She spoke on ‘Pre and post procedure skincare’ discussing the use of the Universkin range of skincare and how it promotes better would healing with less down time and recovery following laser treatments and skin surgery. Dr Gonzalez speaking on Facial Aesthetics. Dr Gonzalez speaking on Facial Aesthetics at the Speciality & Associate Specialists Session. 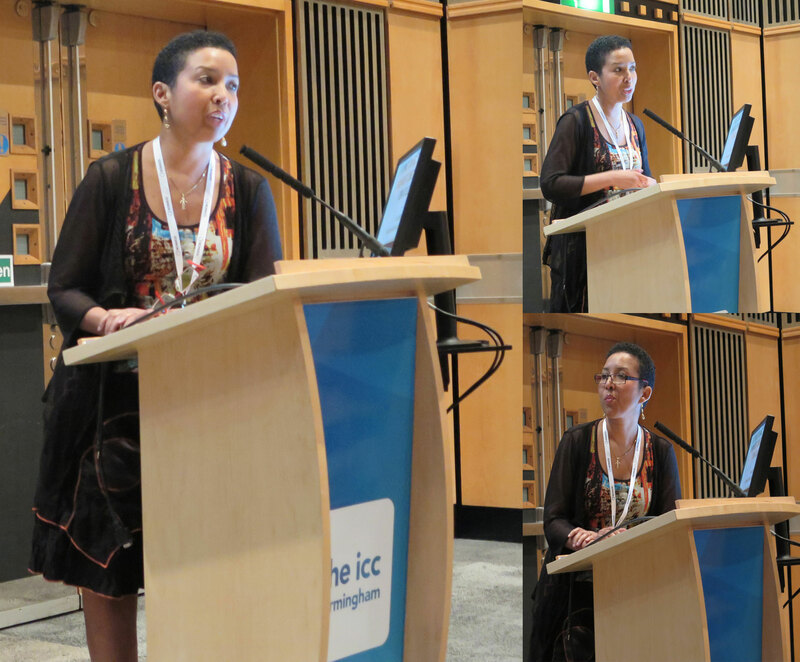 This was at the 96th Annual Meeting of the British Association of Dermatologists in the ICC Birmingham. Dr. Gonzalez gave the opening lecture at the Clinical Sciences Building – University Hospitals Coventry and Yorkshire. The occasion was the 5th annual Face Eyes Nose Conference attended mainly by plastic surgeons aiming to move into aesthetic practice. The lecture provided an overview of the assessment of an aesthetic patient and was entitled ‘Rules of engagement-What guides our treatment decisions’. 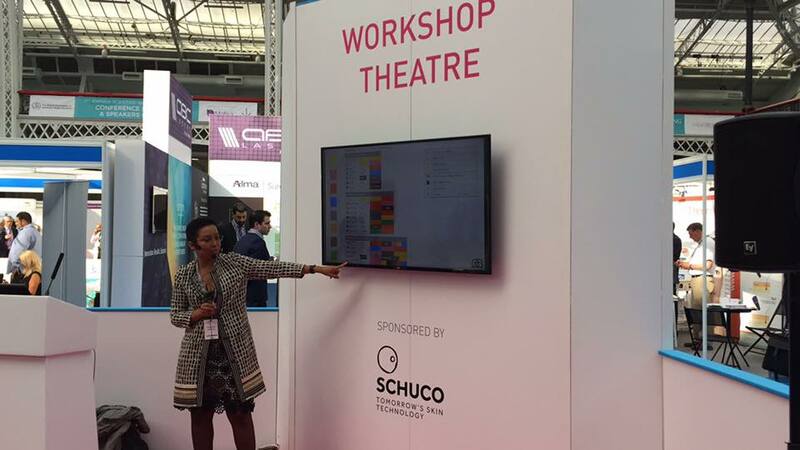 Dr Maria Gonzalez speaking at the Aesthetics Conference and Exhibition (ACE) at the Business Design Centre in London. She spoke in the opening session of the meeting alongside plastic surgeon Mr Dalvi Humzah. 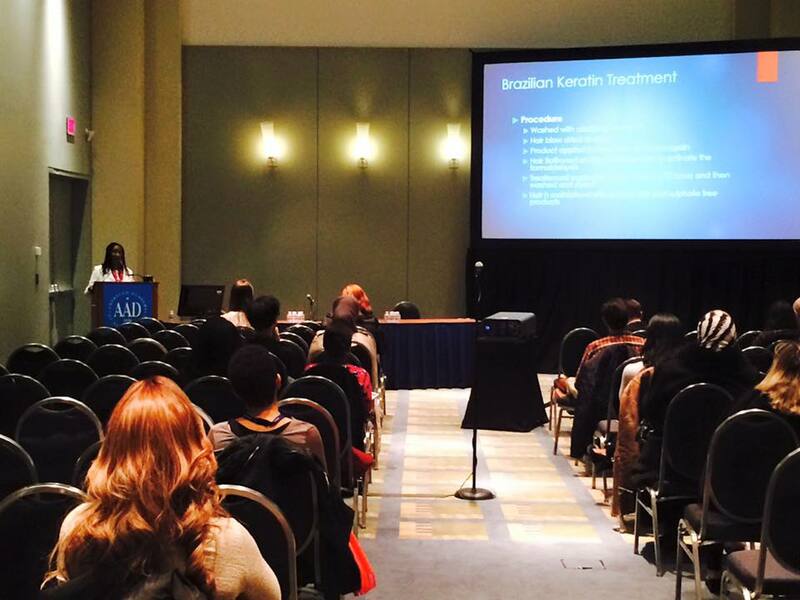 Dr Gonzalez was proud to attend the presentation of one of her students,Dr Lorenia Muir-Green, who presented at the 74th annual meeting of the American Academy of Dermatology in Washington DC. 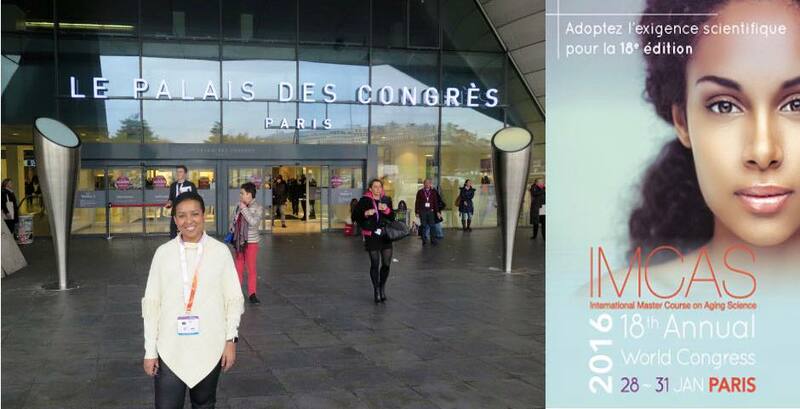 Dr Gonzalez at the Universkin stand at the IMCAS Conference in Paris. The Specialist Skin Clinic is the exclusive supplier in South Wales of this bespoke range of serums created by French dermatologists. Rather than forcing your skin to fit into a narrow range of available serums we take the medical approach of assessing your skin and creating a serum specifically targeting the needs of your skin. This is an exciting new and innovative approach to skin care. 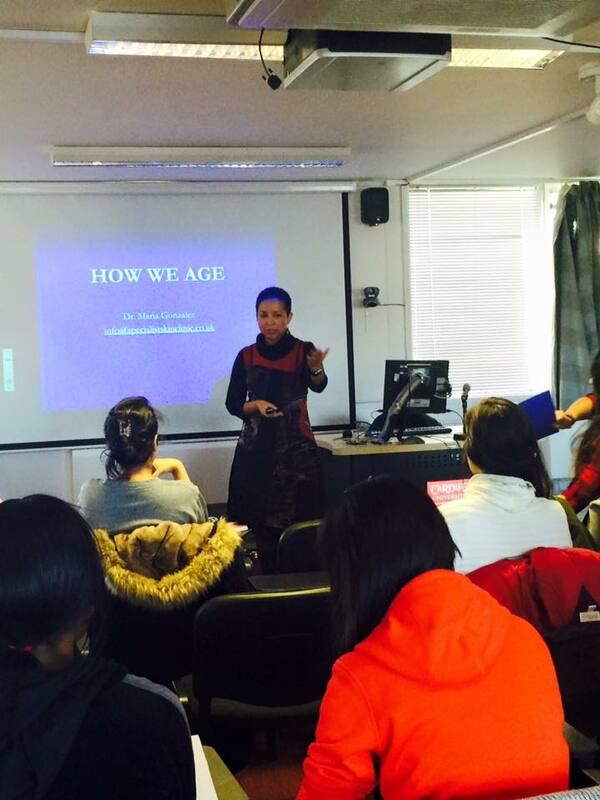 Dr. Maria Gonzalez running a Botox workshop for international doctors at Cardiff University. 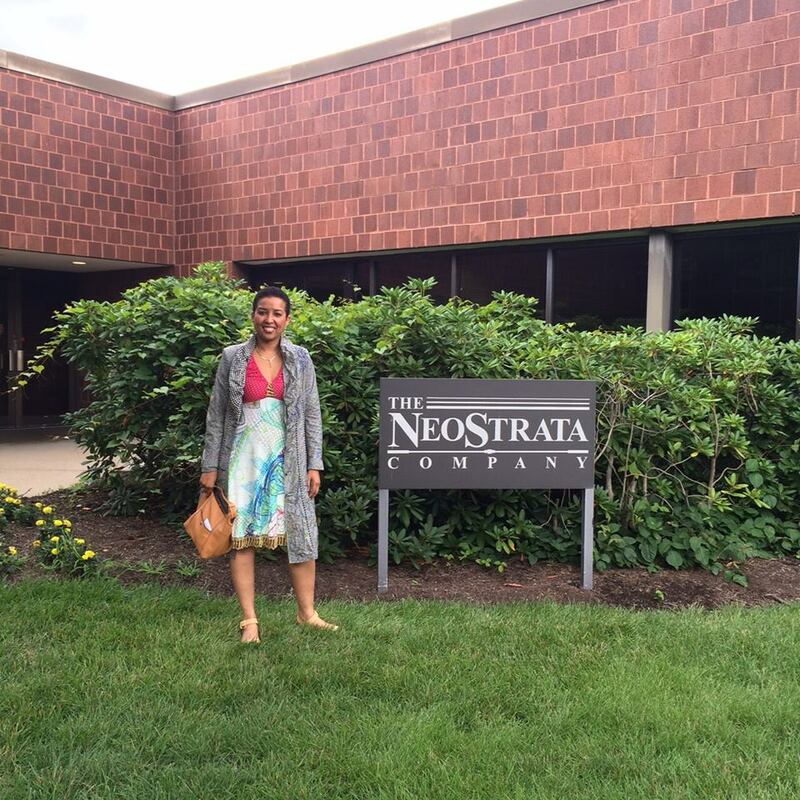 Dr Maria Gonzalez in Princeton, New Jersey attending the annual Neostrata Doctors Academy meeting. 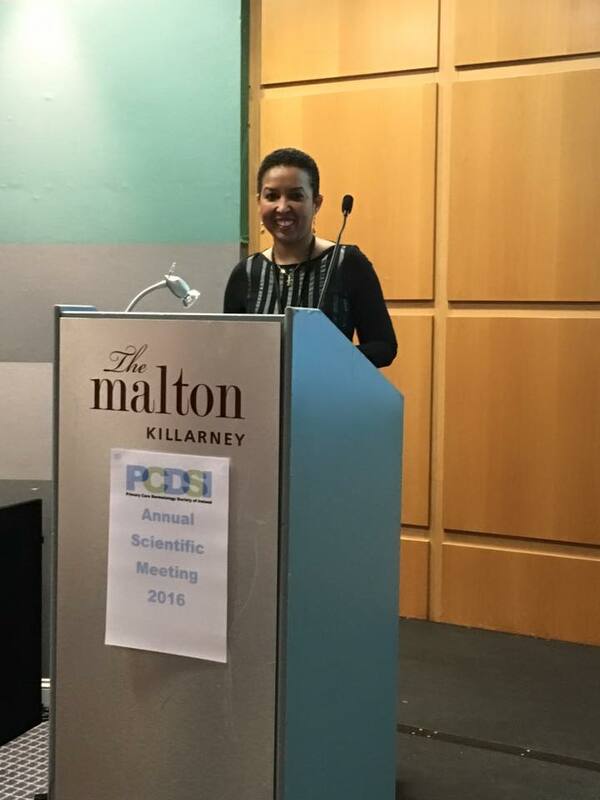 Dr Gonzalez speaking at the Primary Care Dermatology Society of Ireland meeting in Killarney. 3 lectures were delivered on subjects in dermatology and laser surgery.